When I was 17, I became very ill with conditions that were later diagnosed as P.O.T Syndrome, Fibromyalgia and M.E. so being at home a lot sick has meant I spent quite a lot of time on social media! In fact, being at home so much with my illnesses often made me confused as to what is real life and what is fake when it comes to social media! Like most of you, I have often compared myself to Instagram models worried I didn’t have the ‘right’ body type and gotten upset over the amount of ‘likes’ I got. I went through a period of time when my self-esteem was low because everyone on Instagram seemed to look fabulous, be on never ending holidays and just having a great life. My mam was brilliant at pointing out to the fakeness of it all when I was down, so I decided to take a closer look at social media, its good points and bad points and then use it in a way that made ME feel good about myself. I was determined to break the cycle of comparing myself and my life to everyone else’s!! Let’s look at the good points first! The ‘Metoo’ movement on social media has exposed what women have been putting up with for years. One by one as women added their names to it, sexual predators had nowhere to hide. No matter what part of the world we live in women finally have a voice and we’re using it to stop sexual abuse at home, on the street and in the workplace. Social media platforms like Instagram and Twitter are raising awareness about really important issues like homelessness, mental health, gender equality and the importance of voting. These platforms enable people to share their stories within a matter of seconds to millions of people around the world. Lots of celebrities like Lady Gaga, Demi Lovato and Chrissy Teigen have shared their struggles with mental health and social media. By doing so they have helped millions of people feel less isolated and alone with their struggles. Selena Gomez and Halsey have raised a lot of awareness about their invisible illnesses through their social media platforms. These are all brilliant uses of social media because they help bring people together. Unfortunately, I found a downside to social media too. 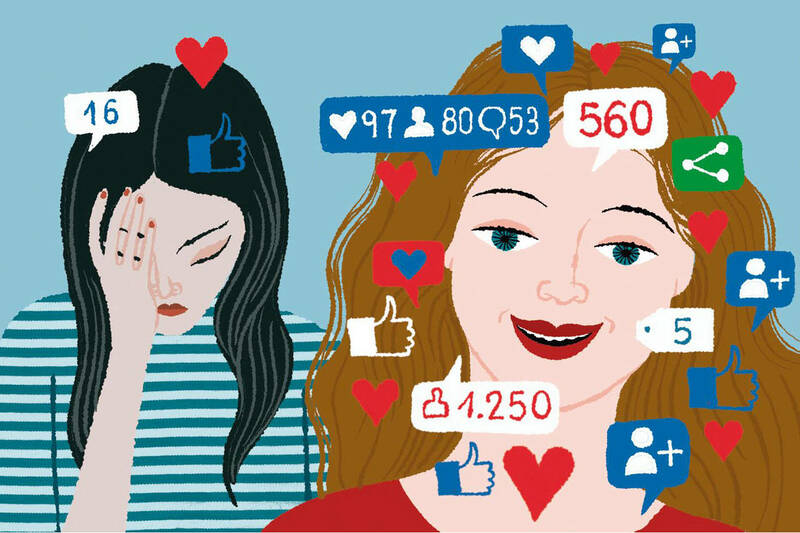 It can really harm people’s self-esteem with our ‘like’ culture, particularly with teens and young people. 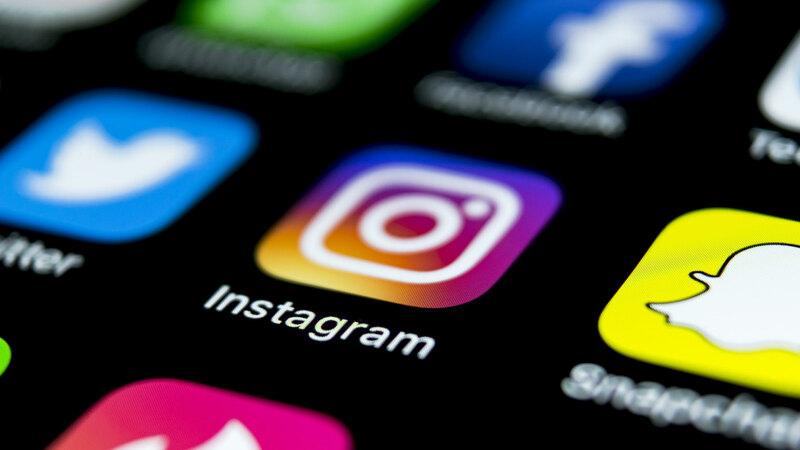 Last year CNN released a study which said Instagram was the app that was most ‘detrimental to people’s mental health between the ages of 14 to 24’. The study said Instagram caused the most well-being issues such as anxiety, depression, problems with self-identity and body image. It negatively impacted young women more than men because it causes women to compare themselves to unrealistic, photoshopped, edited and filtered pictures. UK charity Girlguiding said 35% of 11 to 21-year-olds said comparing themselves to other girls is their biggest stress and worry online. It seems as if young women in particular are under stress to put up perfect selfies and gain more likes and followers with many young people admitting to deleting posts if they don’t get a certain amount of likes. So, after this research I had a decision to make. Do I delete my social media accounts? Or do I use them to feel better about myself, my life and the causes I support? I decided to go with the second option. Why? Because there’s lots to like about social media if you know how to use it. Make a mind map of ALL the things you love and feel passionate about. Don’t leave anything out because everything you write is important and unique to you!! So, it can be anything from cooking to music to politics/fashion/history anything at all. @shonadotie: The Shona project page, obviously!! @jameelajamilofficial: Jameela Jamil is the actress who set up the ‘I weigh’ page. She is hilarious! And also posts life and body positivity pictures on Instagram. @winnieharlow: Winnie is a model and has the skin condition Vitiligo but she still embraces her skin and what makes her different! To name a few! You’ll be amazed at how different you feel when you start doing this! Every day unfollow people who pull you down, are negative or hurtful. Replace every unfollowed person will someone or an organisation that you like or support. This is a game changer on social media because your newsfeed will be bursting with people and links that lift you up. Or use the new mute button on Instagram so you can’t see posts from people you don’t want to see. I unfollowed a lot of the Kardashians because their photos are altered so much that girls are feeling their bodies are not good enough. It’s important to know that a lot of pictures on Instagram are NOT REAL. They are photoshopped, filtered and edited. Victoria’s Secret model Bridget Malcom recently admitted to having to fake happiness for her Instagram while she was suffering from Body Dysmorphia. She admitted her life is not nearly as glamorous as it looks on Instagram. When we use our social media to express our own passions it becomes much less important how many ‘likes’ we get. Now with the experience I had I try not to worry as much about how many likes I get. It’s only important to me that I engage with my close friends. If that’s only a handful of people that’s okay because I don’t believe that if someone gets 800 likes there will be 800 people there for them if they go through a tough time. Start to slowly spend less time on social media. For example, leave your phone downstairs if you’re upstairs. Make a habit of not having it in your bedroom at night. It takes time but if you make it harder to get to your phone eventually you’ll spend less time on social media. Something I found really helpful was deleting the app for Instagram for 24 hours a couple of times a week. There’s lots of evidence that digital detoxes lift our moods so pick a day each week and take a break.